/ Modified dec 21, 2016 5:28 a.m.
$8M of that coming to Tucson and Pima County for 31 agencies. Soup kitchen workers hand out food to the homeless. 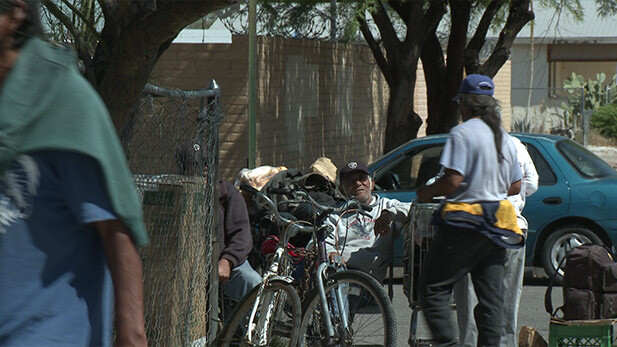 The US Department of Housing and Urban Development has awarded $37 million to housing and programs for the homeless in Arizona. More than $8 million of that will come to Tucson and Pima County, allocated to 31 local homelessness agencies, including the Emerge! Domestic violence shelter and Old Pueblo My Home Project. HUD estimates there were almost 10,000 homeless people in Arizona on any given night in 2016. Since 2010, homelessness nationally has fallen 29 percent. Among military veterans, it was reported to be down 57 percent.